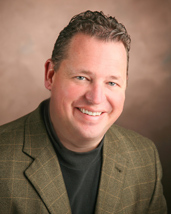 Grant Bellis has over 30 years of lending experience with over 5000 real estate transactions. Grant has been listed as the top 1% producing mortgage loan officers in the nation for the past 5 years in Mortgage Executive Magazine. He was also voted #1 loan officer by the Pantagraph’s Readers Choice in 2017 & 2018. He does both purchases and refinances. With the variety of loan programs offered by MSI, (Conventional, VA, FHA and USDA) Grant can find a program to meet your individual needs. Ninety nine percent of his business is a result of referrals from REALTORS® and past customers. Chances are that someone you know has been a client of his. In 2017 he helped 57 families with downpayment assistance for a total of almost $350,000 in grant money! If you are a 1st Time home buyer or a Veteran, you may qualify for the Mortgage Credit Certificate (MCC) program. Eligible home buyers may receive an annual Federal income tax credit (maximum of $2,000) on the interest paid on the mortgage loan for the primary residence. That’s thousands of dollars over the life of your loan! I’d love to walk you through how this program works and determine if you qualify!